Master PDF editor is a PDF editing tool that can edit, add text, images and password to a pdf file. With using this tool we can also break, merge and can remove the pages form a pdf file. Master PDF editor Ubuntu and Mint are the most widely used software because it is the top PDF editor for Linux. The code of Master PDF Editor is not open. PDFelement is a strong tool that will allow you to produce great looking PDF documents and forms quickly with securing data. 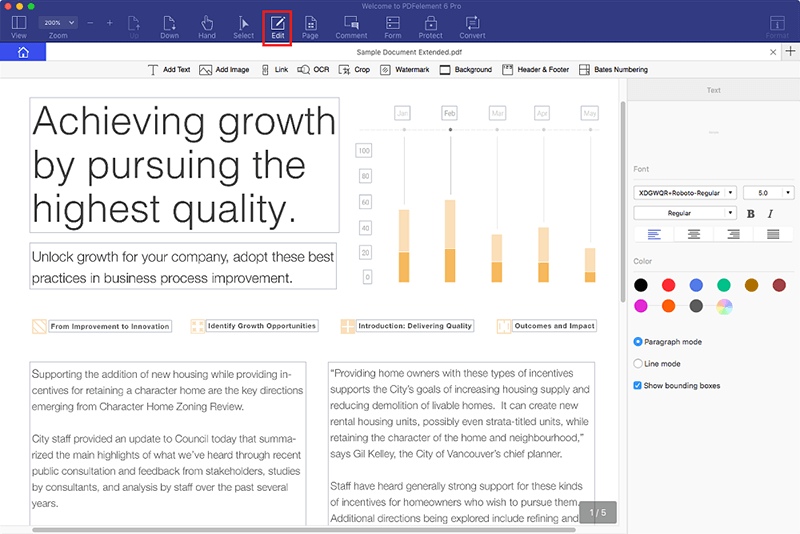 Some of the great features include Annotate with which you can add notes and create a custom stamp. By using this tool you can keep PDFs organized and professional with custom headers and footers. Open you PDF files by clicking "Open…" button. And then go to the "Edit" tab. 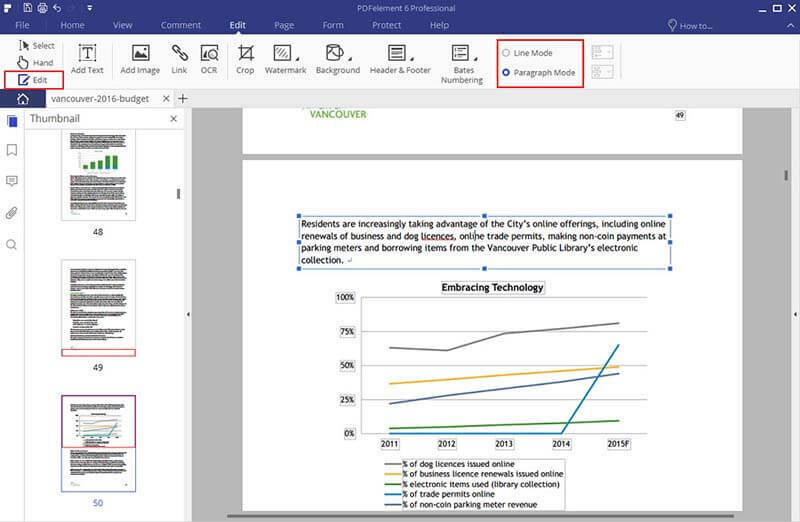 Click on "Edit Text" button in the top menu and you will be able to edit any text on the PDF file. Simply double click on the text and use the cursor to change the text. Click "Edit Objects" to edit the images in PDF. And click on the "Comment" tab to edit the annotations on your PDF files. Click on "Edit" button on the top toolbar. You can double click on any text or images to edit them. To add comments to PDF, simply click on "Markup" and edit bar will be replaced by new functionalities. Here you can add new links, add notes, highlights, change font size to PDF file. 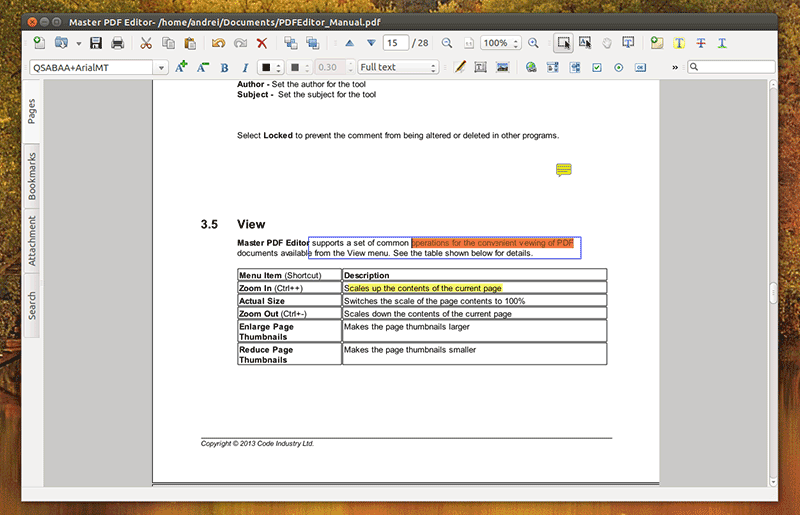 As an Easy tool, Master PDF Editor offers a variety of features with maintaining simple UI for Linux Ubuntu and Mint. This tool is simple and suitable for both new as well as experienced users. Along with that it can maintains the consistency of all your documents.